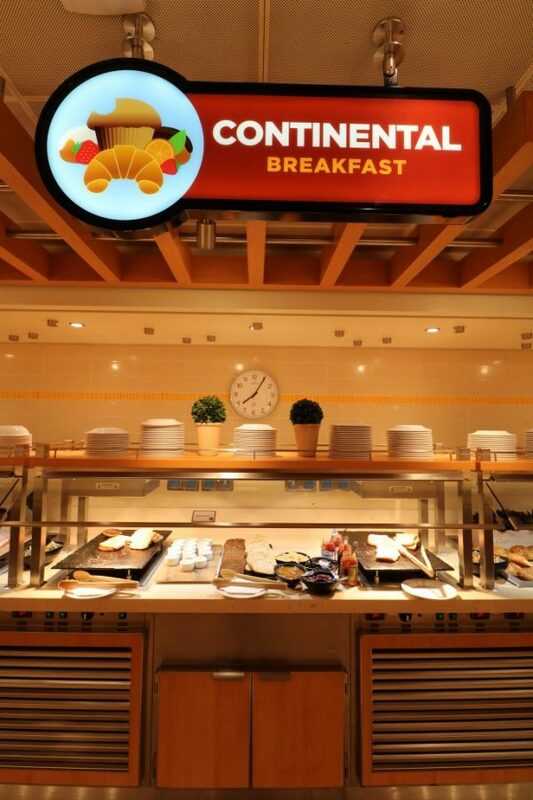 If you’re a vegan from the UK or continental Europe, the name Carnival Cruise Line may not mean much to you. Even regular UK cruisers who sail the Mediterranean or Baltic regularly, won’t be familiar with the brand. If you’re in the US, however, you don’t even need to be a cruiser to know about Carnival. Yet, I would imagine most would wonder: can you cruise vegan on Carnival? In my years of cruising, I have only been onboard a Carnival ship once in 2015 for a short cruise. It wasn’t really representative of the usual Carnival experience, and I wasn’t vegan yet at that point. I missed out on the rare chance of sailing with Carnival in Europe back in 2016, when Carnival Vista sailed her inaugural summer on the Mediterranean. When the new Carnival Horizon was announced, I wasn’t going to miss her brief Mediterranean stay. 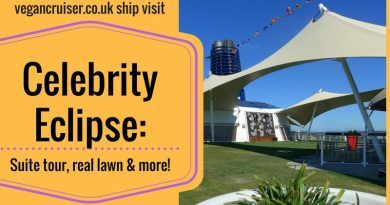 I was looking forward to it for a few reasons, firstly as I had come across a Facebook group of mostly US members who would cruise vegan on Carnival – aptly named Vegans cruisin’ with Carnival. Secondly, The Carnival website also had posts on vegan dining options. I could see that, as a company, Carnival acknowledged vegan diets. It was looking promising indeed! A little closer to our departure, John Heald, a Carnival spokesperson & former Cruise Director, asked on his Facebook page how Carnival might better cater for vegans. As expected, there was anger from omnivorous readers who were threatened by this. But it was a gesture from John greatly appreciated by us cruising vegans and since then Carnival has launched their own plant-based burger. 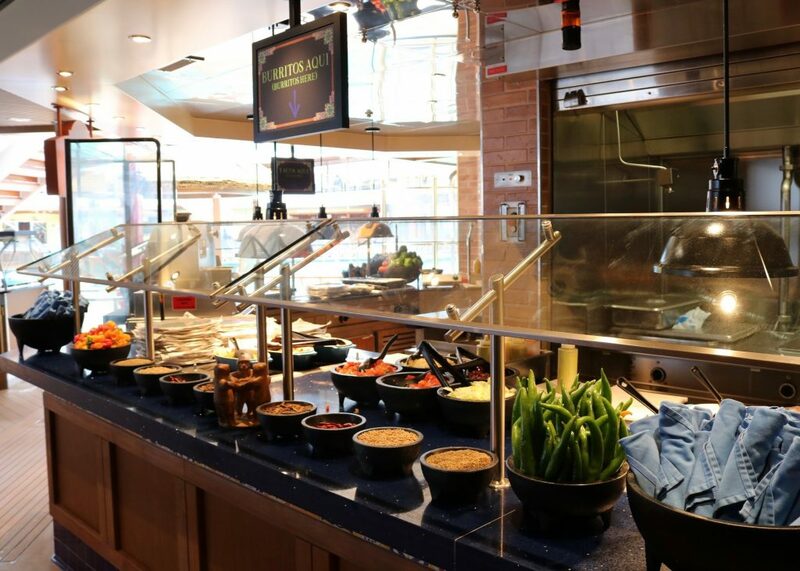 It is now available in the Deli section of the Marketplace buffet, instead of the frozen pre-made one previously available at Guy’s. 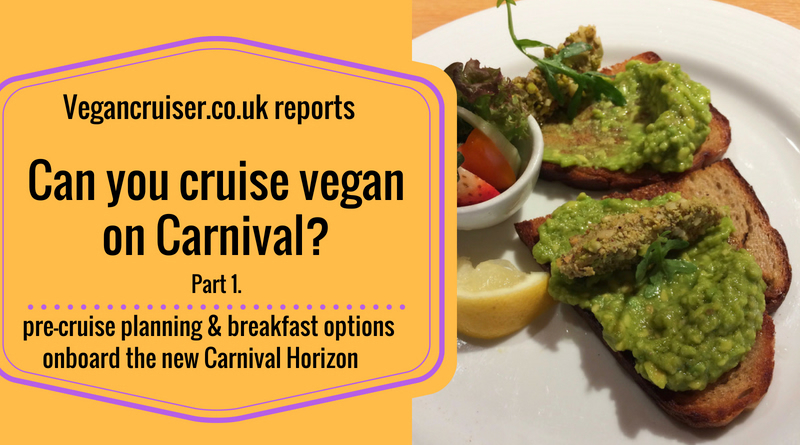 Can you cruise vegan on Carnival? Having completed my online check-in, I was expecting to find a dietary request option somewhere on the online cruise personaliser. 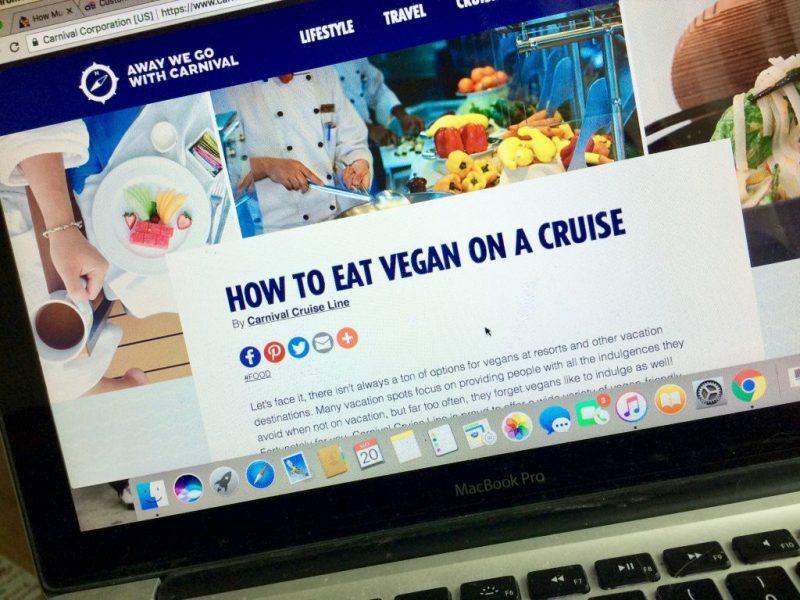 Considering Carnival is one of the rare few cruise lines that acknowledge vegan diet and give examples on how to dine vegan onboard on their own website, I thought it was a given. As I couldn’t find a way to just ‘click’ my request in, I e-mailed their Guest Solutions team instead. They replied in about 3 days and told me I shouldn’t have any problems and that although my vegan dining request was added, I ought to speak to dining staff upon boarding. In my original e-mail query, I had requested information on what vegan provision Carnival had onboard. I was interested in knowing about items like vegan spread or cheese, soy ice cream and plant milk alternatives. 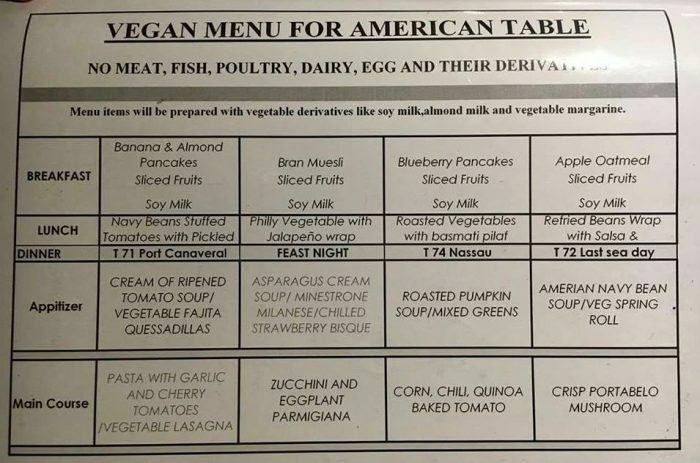 Carnival replied that the only vegan goods offered onboard are soy milk and tofu and that kitchen staff will omit animal products to ‘veganise’ vegetarian dishes. They specifically said no almond milk was available, only soy, but I could contact the Access team to request it for my sailing. As my departure was a few weeks away I figured I should ask to bring my own onboard than attempt a supply/delivery request at such short notice. As I have a slight intolerance to soy I e-mailed the Carnival Access team if I could bring my own oat milk onboard instead. It appeared to be possible (screenshot provided). But as you can see, the Access team also offered me the almond milk the Guest Solutions team said would not be possible. If you’re not happy with the response from the general Guest Solutions team of any cruise line – always contact Access department (or equivalent) for further clarification. So, one team does not quite know what is held onboard – but it was good to know that if you are a vegan with both soy and nut allergies, you can bring your own non-nut plant milk onboard. As Horizon was only just launching three weeks prior to our departure, I could not trust it to have a vegan menu – especially as her predecessor Vista doesn’t. So instead I followed all the advice given on the group page about ships that do not have a vegan menu and how best to prepare. For ease of transport and to save space, I use small resealable and airtight containers for my optional vegan extras. These allow me to bring portions of vegan spread and cheese slices onboard and to store them in the minibar. For pasta dishes, I also packed a bag of vegan parmesan. For breakfast use and for pizza topping, a pack of vegan pepperoni and deli ‘meat’ slices each. I usually bring a small travel salt shaker of ‘eggy’ kala namak (Himalayan black salt) as well, for any avocado dishes. Previously, I have sailed on ships where none of the salad dressings were suitable for vegans (according to staff) so I prepared by taking a small bottle of salad dressing as well. I didn’t need it in the end but it was nice to have an alternative to balsamic vinegarette. All of the above extras I packed into an insulated lunch bag with freezer block to keep them fresh for the duration of my flights. And yes, they arrived chilled and went into our pre-cruise hotel minibar to await for packing on the embarkation morning. In my suitcase, I also had some cereal bars to take off the ship on an excursion. I knew to pack two vegan Chinese sauces too. I had learnt from the Facebook group that none of the stir-fry sauces offered at the Mongolian Wok were suitable for vegans. On the morning of our embarkation, I picked up ten ‘accidentally vegan’ chocolate-filled mini croissants from a Barcelona supermarket. I had to make sure I would have something sweet onboard for afternoon coffee. And sure enough, the ship had no vegan cookies, cake or other baked goods on offer so it was a smart move to bring that with me. Otherwise, I had a pretty excellent vegan experience onboard. 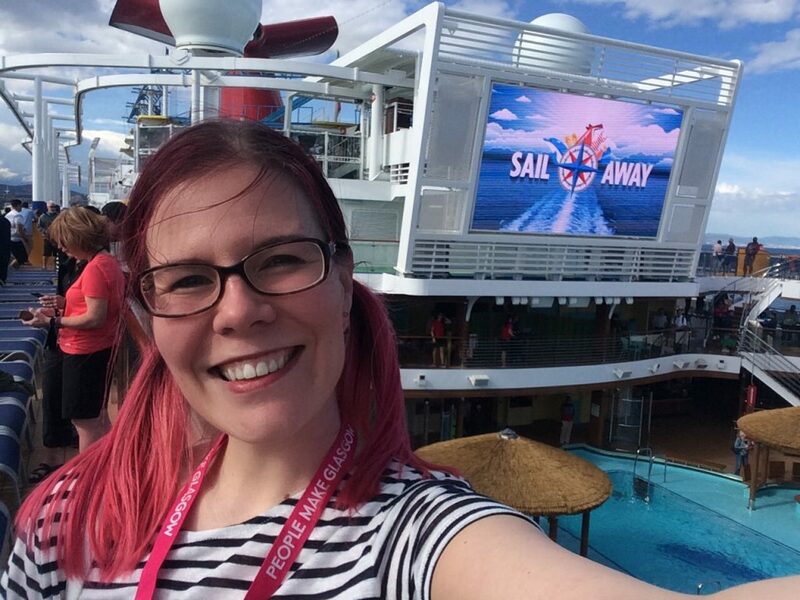 I can totally give a resounding yes to the question “can you cruise vegan on Carnival?”. 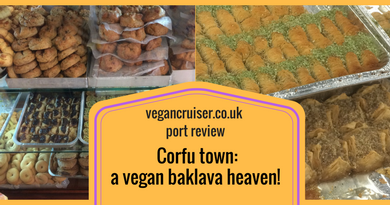 This cruise offered better vegan options than I had on Royal Caribbean, for example – read about my 2016 experience here. 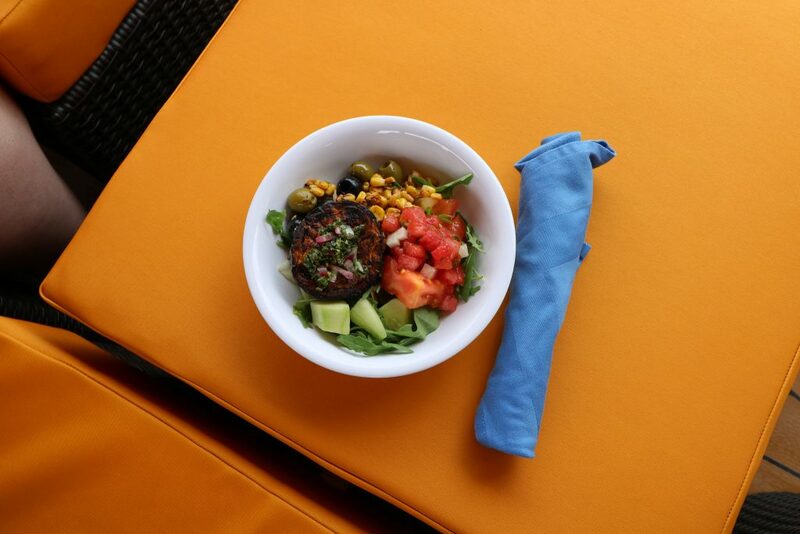 But let’s look at my great vegan food options onboard Carnival Horizon, starting with morning meals. 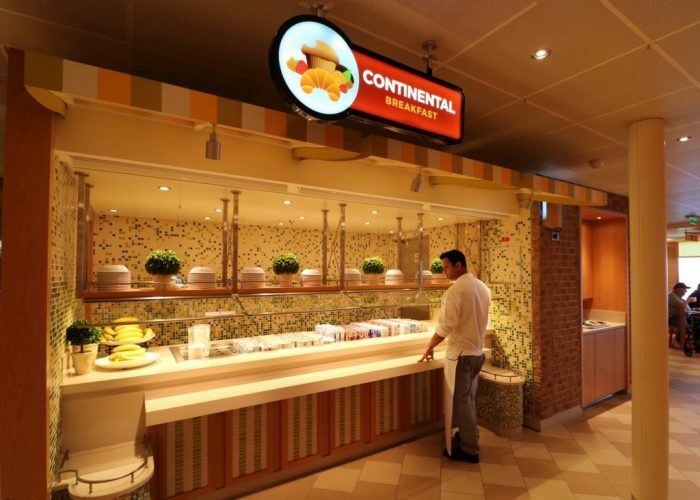 Vegan breakfast options on Carnival Horizon? Our first day after embarkation was a sea day, which gave us a gentle start to the trip. It was nice not to be up at 6am for 7am breakfast to catch an early excursion – which is pretty much what we had every port day. So on our first morning, my friend and I had something resembling a lie-in. I wanted to catch the buffet before it got busy so made it there for just after 8am. 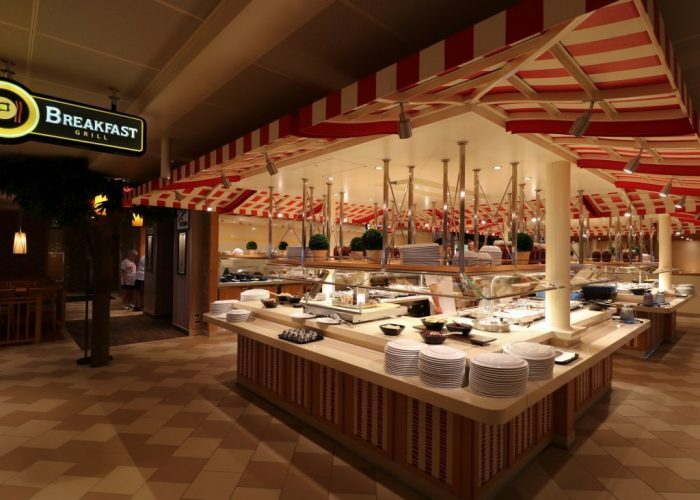 The lido buffet on Carnival Horizon is called The Marketplace. 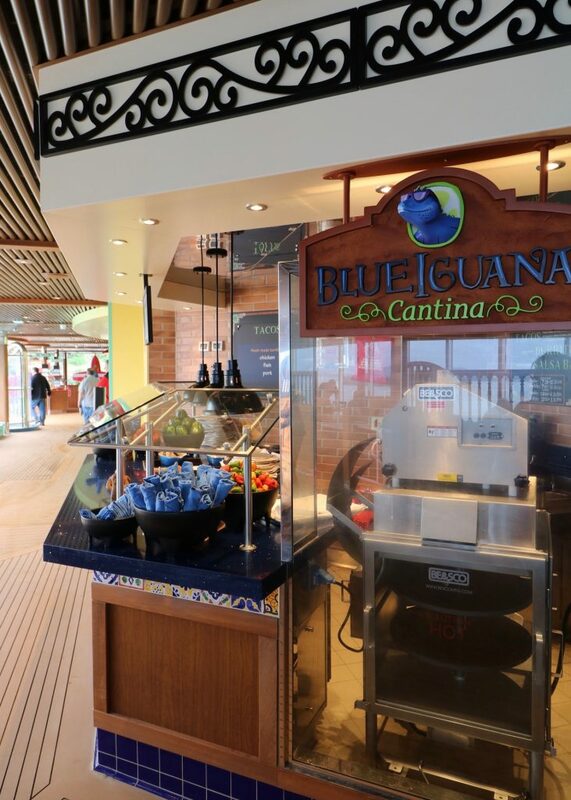 As a dining venue it is large, brightly coloured and welcoming – in perfect nick as almost brand new when we boarded. The offers a range stations and seating options (high bar stool chairs & tables, regular dining tables, some with sofas etc) and we rarely struggled to find a seat. 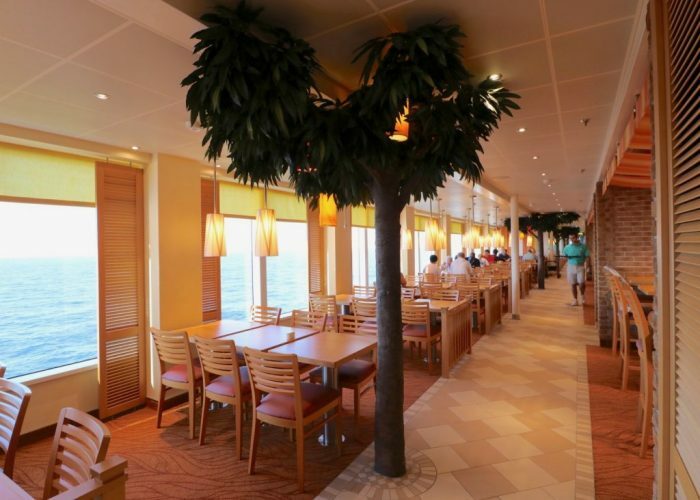 In fact, I felt it was probably the best buffet area on any ship I have been on for finding a seat. On that first morning, I couldn’t spot an obvious manager so I spoke to one of the sous chefs from India, Plato, who became my vegan hero of the cruise. He confirmed that I could have the porridge (oatmeal), as it was made with water. I could have grits too, but my goodness, I tried it once and thought it is a dish so inedible should only be served as punishment. So not to UK tastes, an American specialty I believe. Other than the oatmeal, the vegan choice is unfortunately limited inside the Marketplace. None of the breakfast cereals on offer were vegan. 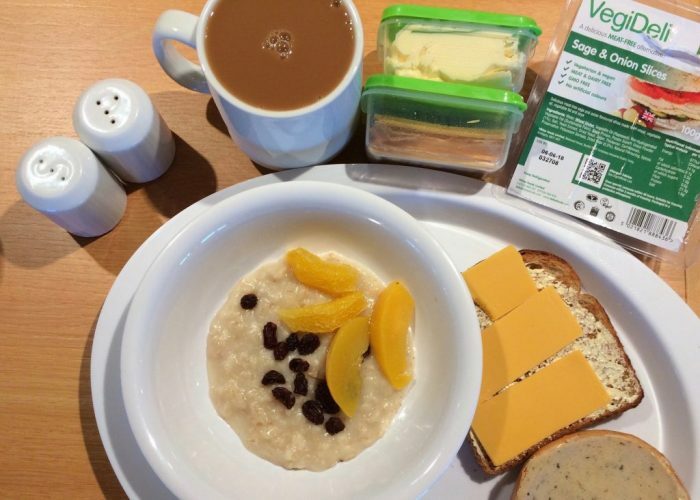 You can have fruit with your breakfast porridge or a side of dry bread – but I was prepared and had vegan spread and deli slices in my cabin minibar. Plato suggested I should eat in the main dining room (MDR) and I could have dishes specifically made for me. It was tempting but as we preferred to be more flexible in the mornings I said I’d stick to the buffet instead. 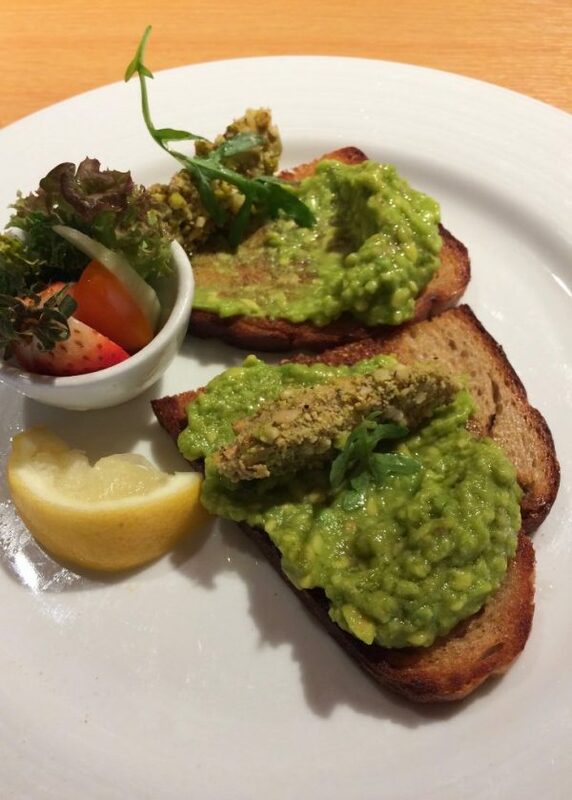 He kindly said he could arrange the vegan version of the MDR avocado toast to be brought up for me. He did also suggest the Masala Dosa from the MDR menu but I declined the latter as the thought of a rice & lentil curry crepe in the morning seemed a little much. But I did take him up on the avocado toast on two occasions. It was delicious, especially with a sprinkling of my own kala namak for that vegan egg taste. 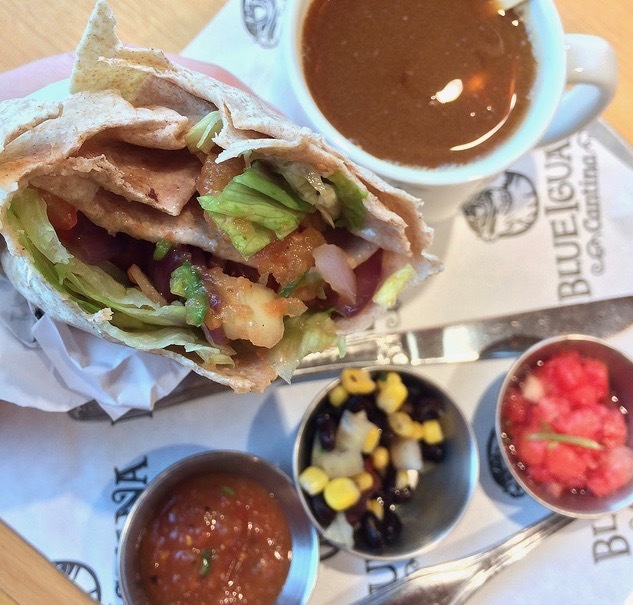 On more often than I would like to admit, I ended up taking my breakfast from the Blue Iguana Cantina on the lido itself. You could choose a plain wheat or jalapeno tortilla and fill it up with various breakfast items. I would start with iceberg lettuce, tomato, onion and pieces of crisp fried hash brown pieces, topped with tomato salsa. I was told the fried onions were vegan, other cruisers on other Carnival ships have been told they were made with butter. Always check with the staff onboard. 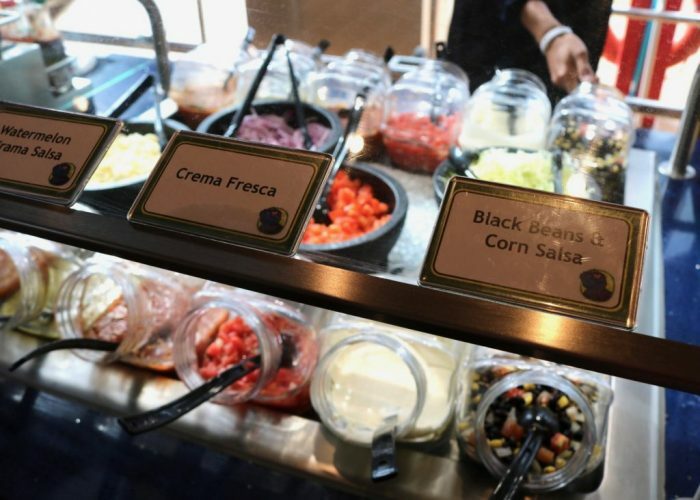 There were no beans to add to the breakfast burrito, but the salsa bar had a side of black bean & corn salsa. 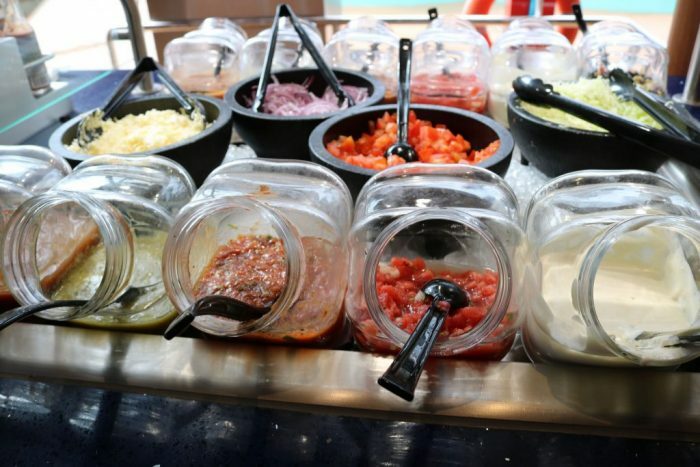 For protein, I would have a side of the beans, various tomato salsas for extra sauce.. and the most amazing watermelon salsa. Never tried anything like it – so tasty! I don’t know how many of these I had for breakfast over the ten days! Definitely my favourite dining venue, fast, tasty and delicious. I’m seriously missing my breakfast burrito and the cheery Indonesian boys that work that counter. They did ask me for feedback so I filled in a little request asking for soy mince for the tacos or vegan breakfast sausage. I even suggested tofu to improve the protein options for vegans, as it was available in the main dining room. 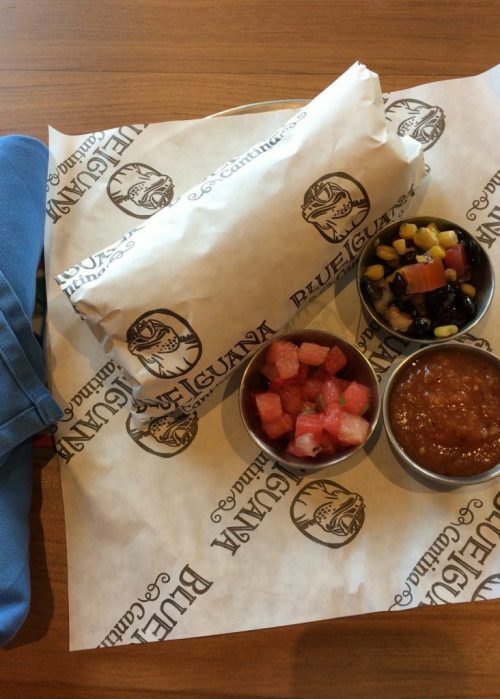 You can find the Blue Iguana Cantina breakfast menu here. It is a great venue for omnis and ok for veggies (eggs & cheese). At the moment the only vegan breakfast filling to go with the lettuce and veg was the hash browns. Mind, it still got me addicted so maybe I didn’t need more! Every morning I had to look for Plato or one of the kitchen assistants to ask for my plant milk – it isn’t out with the other milks by the hot drinks & sweeteners. Sometimes, depending on staff, I would be brought a full mug of milk to use at my table. Plato would often just bring the carton the galley doorway – I would wait by the self-service beer station – and top up my coffee mug with the almond milk. Over the course of the cruise, I was served two different brands of almond milk that I did not recognise. Presumably either US ones I haven’t come across or Spanish brands, as for the inaugural season (month) Horizon was sailing out of Barcelona. One was pre-sweetened and the other not. I soon learnt to add sweeteners to my coffee only after I had tasted it post-milk. You’ll find the MDR breakfast menu here, but like I said, we never used the MDR for breakfast. Other than the two dishes I was offered in the Marketplace (to be brought up from the MDR for me) I cannot comment on the possible chef’s choice options, or how well they would cater for requests like scrambled tofu. I did intend to try the MDR at least once, to comment on it. But I was seduced by the breakfast burritos and the convenience of just being able to grab them and go. Maybe if there had been one more sea day, I might’ve sat down for MDR breakfast. 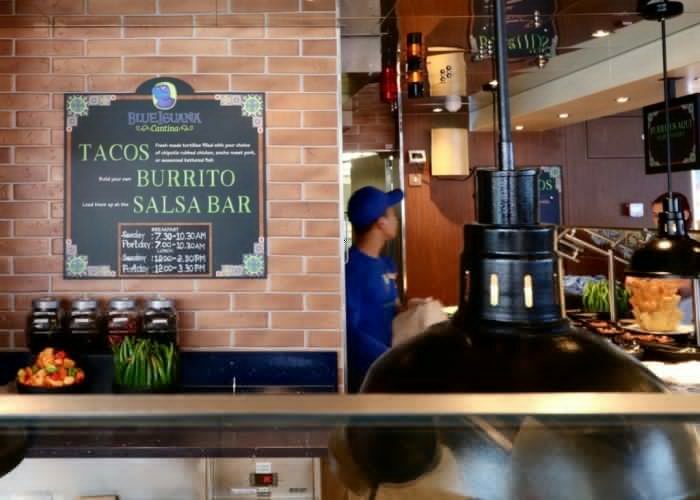 Come back to see my follow-up posts on vegan lunch and dinner dining onboard the Carnival Horizon! 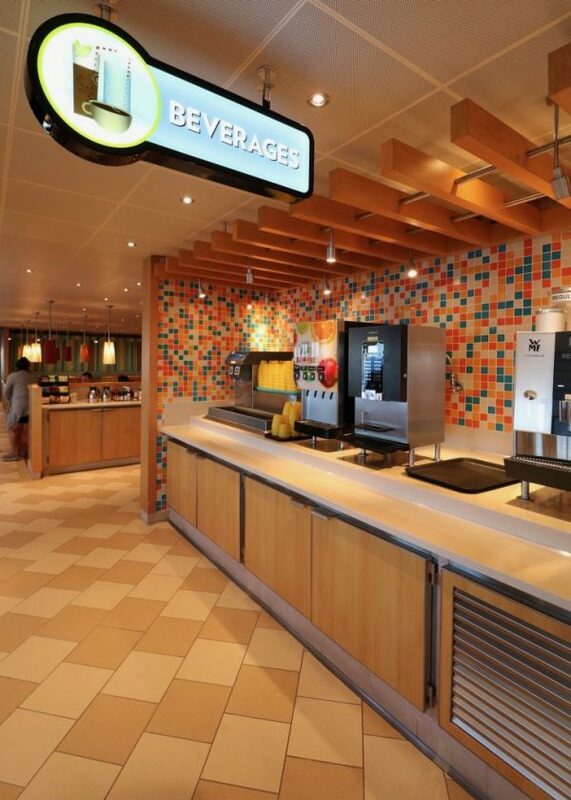 Any questions to do with Horizon dining or the ship in general, leave a comment or message me! 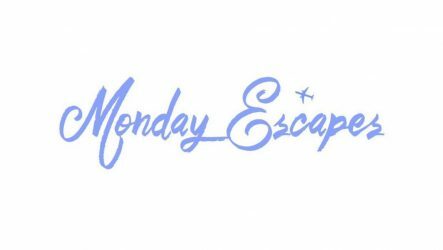 ← Mia Tui Matilda Mae handbag review – vegan and fabulous! These are awesome tips for vegan cruisers. I’ve cruised with Carnival many times and they’ve Always been accommodating with dietary concerns. This is so helpful! I’ve always wanted to go on a cruise, but am soo terrible with planning stuff like this. I’m definitely bookmarking this post. Thanks Jenny! 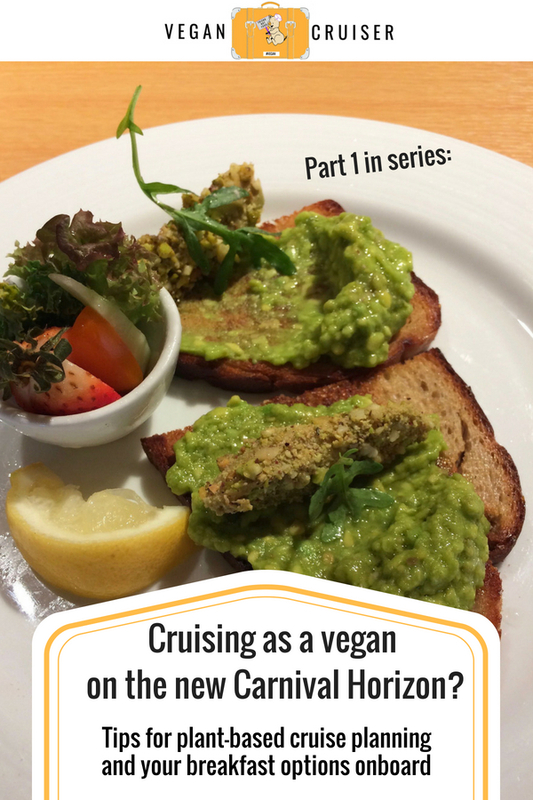 Cruising can be vegan-friendly, some more than others. 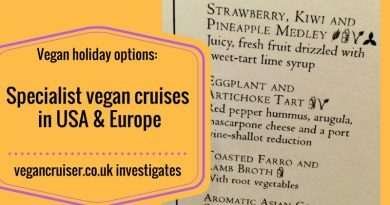 There is a 100% vegan cruise on the Baltic next summer with all vegan food, drink and passengers… 10 or 11 nights of purely vegan holidaying. Same German company does week-long all vegan river cruises too!